Words, Words and More Words | "Northern Crossings"
I have been more and more fascinated with Greek suffixes lately for a variety of reasons that are not important to explain right now but it is a fun study. We use Greek suffixes constantly and probably don’t even know it. word in the English language. Probably not very many recipients of this awe- some information have been able to retort calmly, ‘Oh, that word is merely the root – stab – combined with three prefixes and six suffixes.”’ Captured by this lead paragraph, the reader becomes a willing reader of Professor Greenlee’s delightful article. The longest word in the dictionary is pneumonoultramicroscopicsilicovolcanoconiosis. This basically the disease that killed my Father. He had rock in his lung from working in the mine that caused all kinds of problems. The Doctors who treated him used this word, of variations of it. Some said it was coniosis, others silicosis, one actually showed me this word. But because words mean things that long word is sometimes used only in reference to people who have gotten rock in their lungs from a volcano. I guess if dust particles in your lung can kill you it makes no difference if it comes from drill dust or a volcano. Anyway that is a string of Greek words that does not tripping float off the tongue but it has a definite weight of meaning. 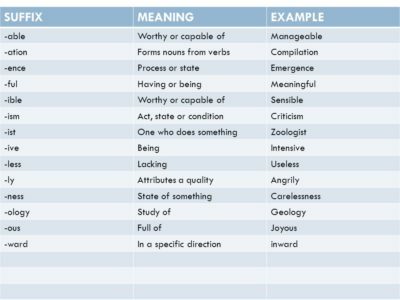 The ism words are worthy of study because they denote a change of condition, or a character. Baptism therefore shows it self to be a change in condition and character. An old man drowns and a new man comes forth to live with God in righteousness and purity forever. To catechize in our terms is to teach with questions and answers Scriptural truth so that God’s people will be equipped to give a good witness rather than floating around and tossed to and fro by every wind of false teaching. What was the point of the Reformation?